Queensland Reds have scored a major coup by signing Japanese Rugby World Cup hero Ayumu Goromaru for the 2016 Super Rugby season. 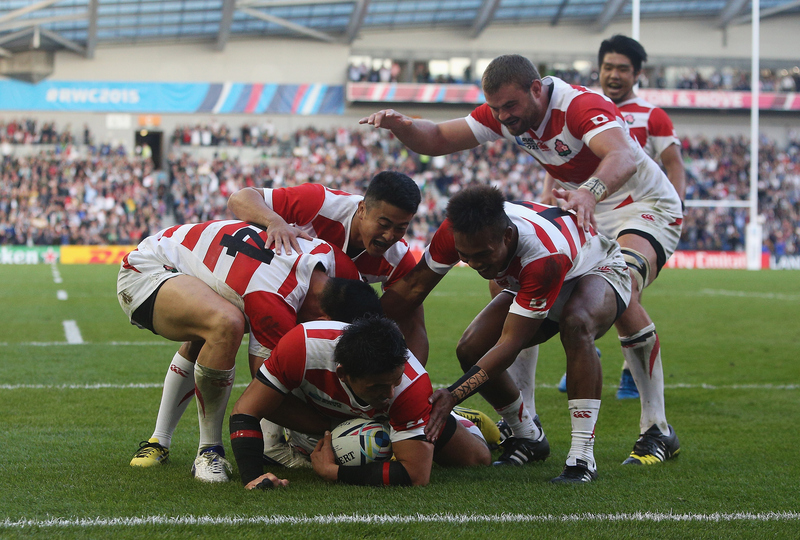 Goromaru became a household name in Japan when he led his country to a shock 34-32 win over South Africa in what has been described as the biggest upset in World Cup history. The full-back scored 24 points in that match and twice received man-of-the-match honours at the tournament. Japan's all-time leading points-scorer has spent his entire career playing in the Top League, but he is looking forward to testing himself in Super Rugby next year - when Japan will also field a team for the first time. "I have followed the Queensland Reds for many years and am looking forward to joining the squad and meeting my new team-mates," said Goromaru, who will link with the Reds when his Top League commitments with Yamaha Jbilo are completed in February. The 29-year-old replaces former All Blacks flanker Adam Thomson as Queensland's designated foreign player. Thomson has moved to Melbourne Rebels. The capture of Goromaru rules out a move for an international player to replace departed five-eighth Quade Cooper, who was unveiled as a Toulon player on Wednesday. Jake McIntyre, who won his second National Rugby Championship title with Brisbane City, is set to become Queensland's first-choice No.10, but Goromaru is likely to take over the kicking duties for the Reds. "His recent goal-kicking percentage sits at or above 80% - an area in which the Reds are looking to improve in 2016," Reds executive general manager Daniel Herbert said of Goromaru. "He is a quality player who will add depth to our outside backs for 2016. "Both of our assistant coaches, Nick Stiles and Matt O'Connor, have coached against Ayumu in Japan, and have said he is a player that worries any opposition." The Reds already have on deck another member of the Brave Blossoms, with New Zealand-born Hendrik Tui playing under a scheme that allows each Super Rugby franchise to sign one player from a developing nation. Features: Farewell Japan - and thanks for the memories!